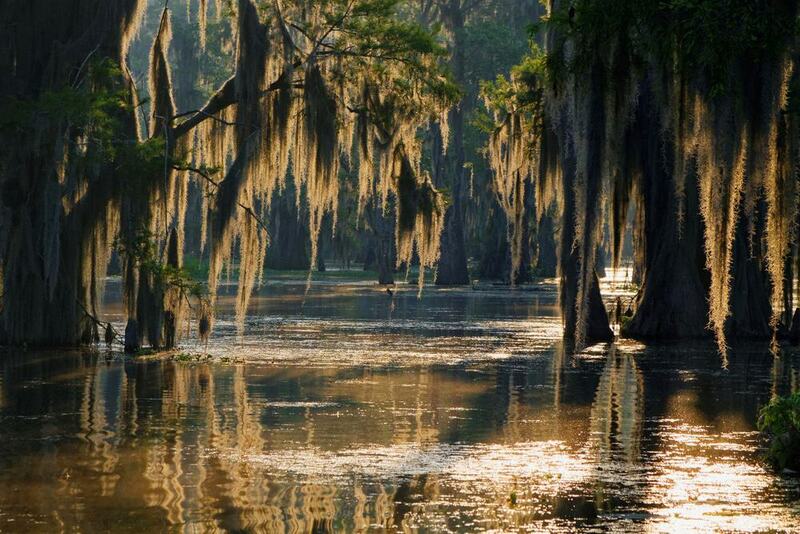 Louisiana’s Mississippi Delta is one of the most biologically diverse ecosystems in the United States. The swamps and bayous are home to countless species of fish, birds, reptiles, and mammals that thrive in and around its fertile waters. In addition to its natural wonders, the area is steeped in history, going back to the era when Louisiana was a French colony; much of that influence can still be found all over the area even though it is centuries old. With plenty of swamp and history tours, getting fascinating insights into both aspects of the region won’t be a problem. 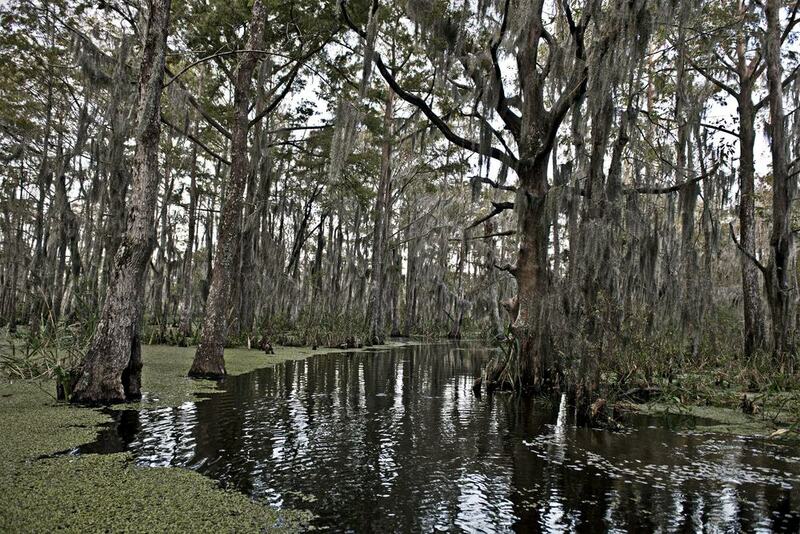 Below are 15 of the best Louisiana swamp tours. 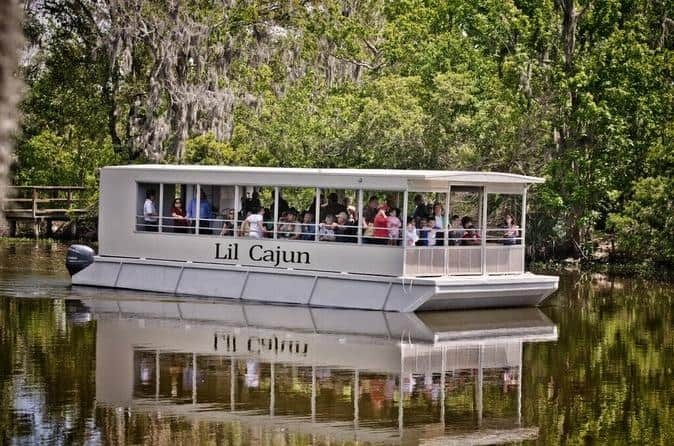 Starting from New Orleans, this full-day plantation and bayou swamp tour is a great way to see the natural and historical sides of Louisiana in one tour. The experience lasts about seven hours and includes a stop at historic Laura Plantation, with its amazing oak-lined entrance and permanent history exhibit. The plantation was once the area’s most elegant and productive, at a time when all labor was carried out by slaves. It’s a fascinating insight into the past. You’ll get up close and personal with some toothy gators along the way as well. If you’d like to get a bird’s eye view of the amazing swamp ecosystem and the critters that call it home, this three-hour tour is a great way to do it while leaving most of the day open for other adventures. Cajun country is full of alligators, turtles, and an array of beautiful wading birds. In addition to wildlife, you’ll learn about the area’s unique culture and history too. Though the boats are noisy, the swamp animals are used to their presence, so you don’t need to worry about scaring them away. Depending on where you’re staying, door-to-door transportation is an option. 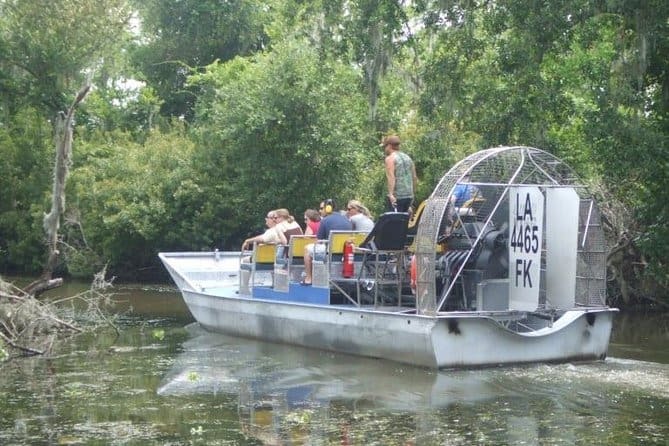 Airboats are exciting ways to zip around the swamps and bayous of southern Louisiana; if you’re up for an exhilarating and unique tour that’s less than an hour from New Orleans, then this airboat journey is a must. Just shy of two hours long, your skillful captain will get you up close to many of the swamp’s inhabitants. Before the trip departs, you’ll have a chance to check out some gators in captivity, including two rare albino alligators named Sugar and Flour. There is a gift and snack shop if you’d like a souvenir or cold drink before heading out. Airboats are powered by massive, propeller-driven engines and can reach speeds nearing 40 miles an hour, all while skimming over water that’s often no more than a few feet deep. Riding on these definitely gets the blood flowing and heart beating. 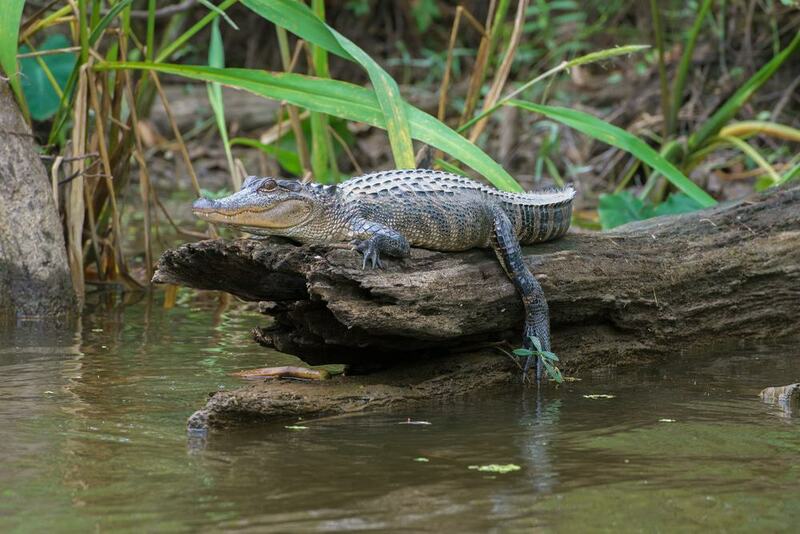 This tour that’s less than an hour away from New Orleans will give you some great views of the gators, birds, turtles, and snakes that call the bayou waterways home. You may see lots of fascinating birds like eagles, pelicans, and kingfishers, and, of course, alligators are the perennial favorite and surprisingly abundant. At just a few hours long, the tour will leave your schedule free for other adventures. 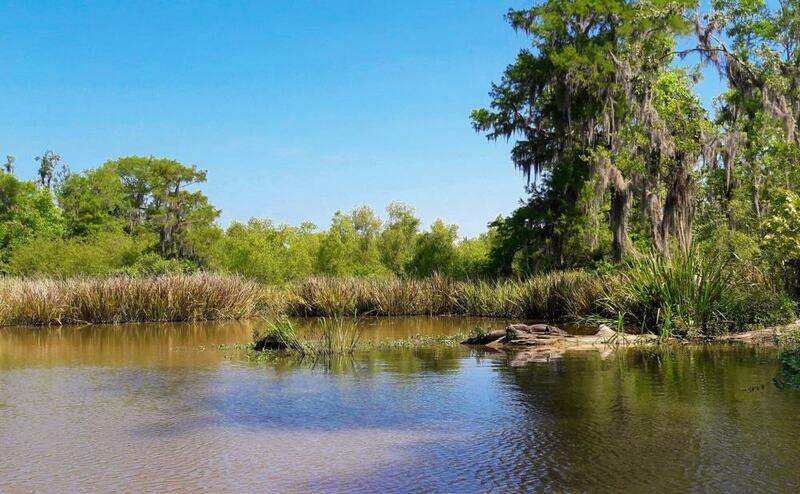 Louisiana’s Barataria Nature Preserve is one of the state’s natural gems and includes thousands of acres of nearly pristine swamp and bayou habitat that is a magnet for wildlife. This tour includes sections of the Jean Lafitte National Historic Park too; your local guide will fill you in on some of the more interesting points of local history and lore. Depending on when you go, you may get to see alligator mounds, which mother gators build out of vegetation to protect and incubate their eggs before they hatch. The tour usually lasts between three and four hours depending on the guests and weather. 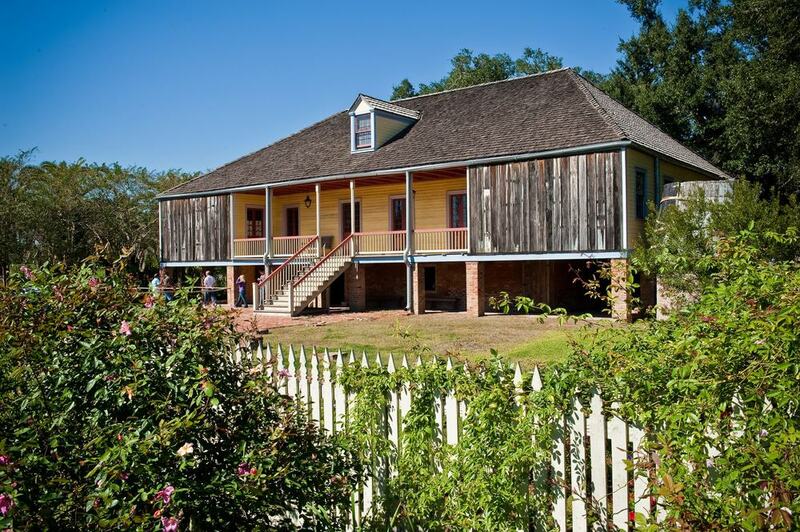 This five-hour plantation and wildlife tour includes a stop at the scenic Destrehan Plantation that was established in the latter part of the 18th century. It is perhaps the oldest and most well-preserved example of a French-influenced, colonial-style home in the entire Mississippi River delta. Though you’ll never be too far from New Orleans, you’ll feel like you are worlds away, and have taken a giant step backward in time. You’ll also visit Manchac Swamp and hear blood-curdling tales about the legend of the Cajun werewolf that has supposedly stalked the swamps for centuries, occasionally devouring a hapless, camera-wielding tourist before disappearing back into the forest. 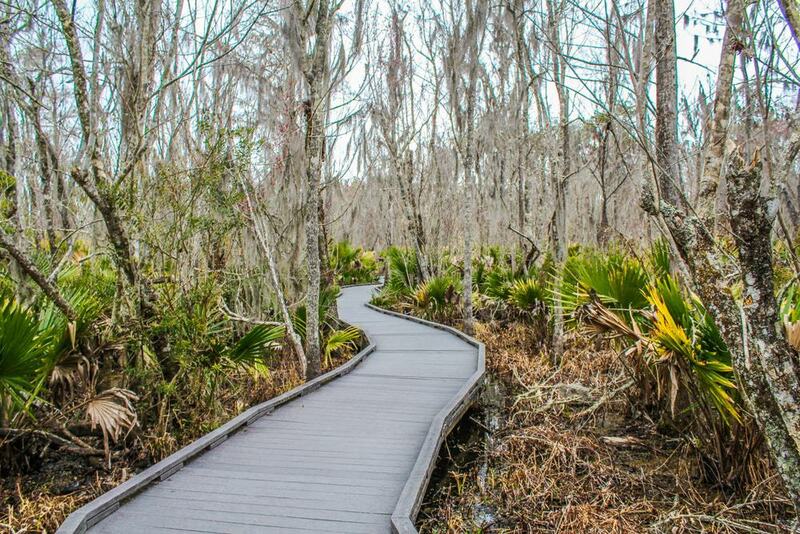 The Jean Lafitte National Park and Barataria Preserve are some of Louisiana’s most visited areas; they give visitors a great opportunity to learn about the area’s biology and history. The tour starts mid-morning and includes a lazy pontoon boat ride, from which you’ll see an amazing array of wild animals, including some dangerous and dramatic ones like gators, snakes and snapping turtles. Lunch is an optional inclusion during your tour; it’s a great way to rub elbows with some locals while dining on some traditional favorites unique to the area. Lake Pontchartrain, just north of New Orleans, is one of the American Southeast’s largest lakes. It gained notoriety during Hurricane Katrina for overflowing the dykes that were supposed to contain its rising waters. This two-hour boat tour includes visits to Honey Island and the surrounding nature preserve, chockfull of local animals, history, and more than a few local legends – many of which include the ghosts and spirits of long-dead pirates and other scoundrels. The waters in these protected areas are full of amazing creatures – even otters that somehow survive alongside all the gators that populate the lake. This is a great day-trip option from New Orleans and includes a trip to a historic fishing village. This unique tour includes bits of history, nature, and an amazing brunch that’s sure to be a big hit with food lovers. 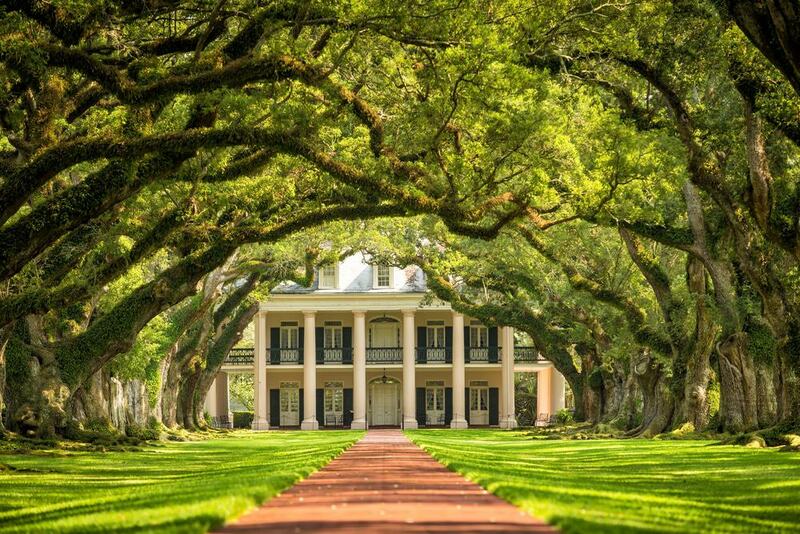 You’ll dine at the famous Oak Alley Plantation and get to enjoy some well-known and traditional Cajun dishes, like crawfish etouffee, Andouille sausage, gumbo, and lots of fresh fruit. After your meal, you’ll tour the plantation grounds, learn about its history, and see some areas that were featured in movies and soap operas over the years. This full-day tour includes a stop at Laura Plantation, one of the area’s most historic plantations that includes a permanent exhibit based on the lives of its former inhabitants. 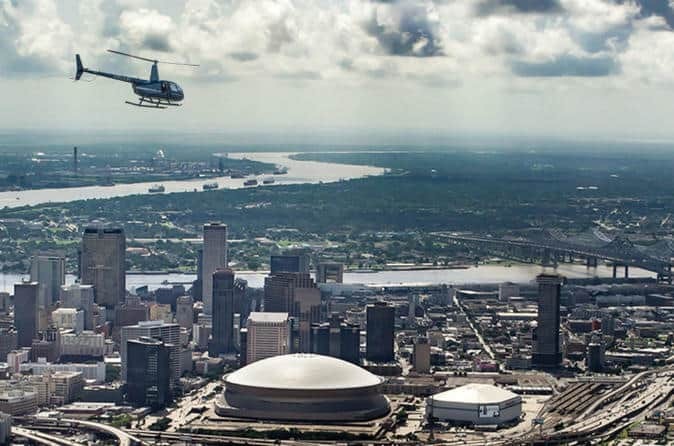 By now you may have seen the swamps by pontoon and airboat, but if you’re up for the ultimate sightseeing adventure, consider this tour via helicopter. 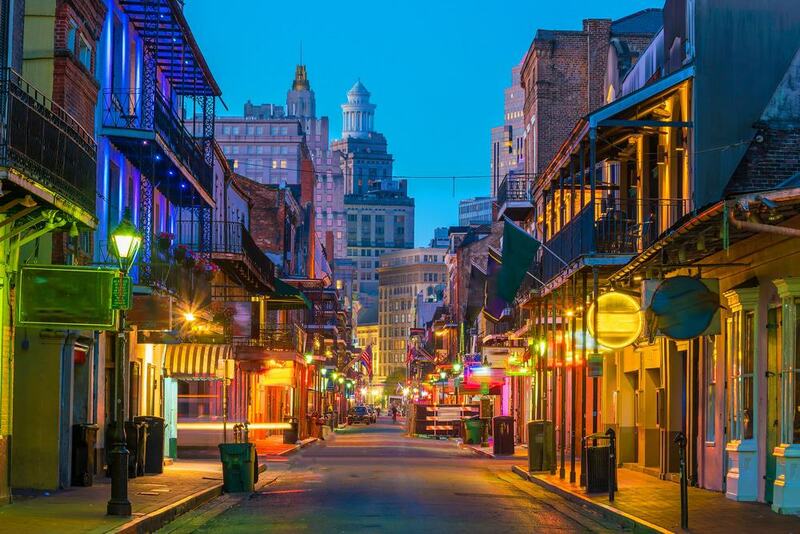 Though the tour only lasts 30 minutes, you’ll get amazing views of the city’s French Quarter, Uptown, and a few of the most historically significant sites too. The pilot will fill you in so that you can appreciate what you’re seeing. Since the tour is limited to three passengers, you’ll get more personalized service. The tour departs from New Orleans and includes headsets so everyone can hear the pilot. 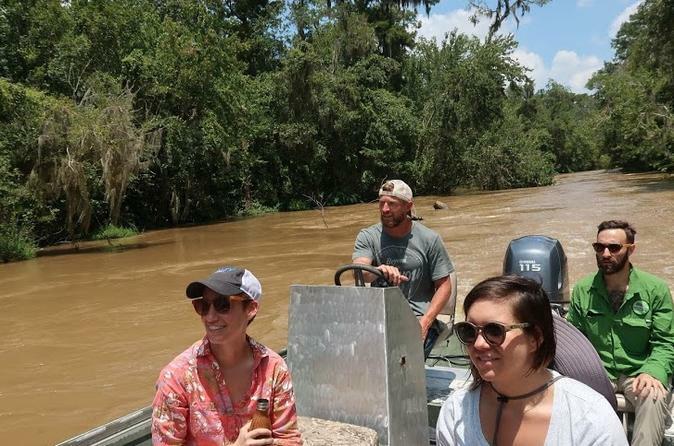 Swamps and bayous are amazingly diverse ecosystems; this two-hour tour takes visitors through many of them, highlighting the flora and fauna residing there. Due to its six-person limit, you’ll get an intimate look at your surroundings and will hear all about them from your local captain. Due to its relatively short length, this tour is great for children with short attention spans; they’ll get to see some amazing creatures, many of which they may not have the chance to see ever again. The tour’s main focus is the Pearl River and nearby Honey Island areas. 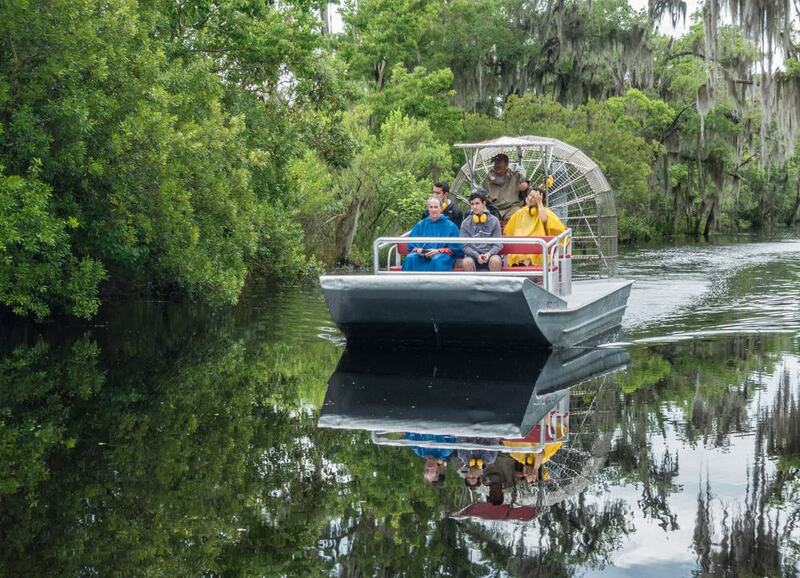 This action-packed tour of New Orleans and the surrounding swamplands is conducted aboard a high-performance airboat, giving it an exhilarating element not easily found elsewhere. You’ll visit the city’s French Quarter, University, and many distinct and historic neighborhoods like the Garden District. On the natural side, the tour’s stars are the eagles, turtles, snakes, and gators that make the swamps such amazing places. Many areas you’ll visit are full of wading birds like cranes, egrets, and herons that live on small fish, crustaceans, and amphibians. The tour conveniently includes pickup and drop-off from your New Orleans hotel. The Mississippi River Delta is one of America’s most diverse wildlife habitats; there’s no better way to experience it up close than via a swamp tour. With its meandering waterways and mossy trees, the area has a notably prehistoric and mysterious feel. Along the way, you’ll hear some historic tales about what life was like here in centuries past. There will be plenty of opportunities to snap pictures of the scenic swamp and its exotic wildlife, and since the tour only lasts a few hours, you’ll have a large portion of the day left to fill-up with other adventures. Truly unique among other swamp tours, this tour is strictly the realm of bachelors and bachelorette parties. Since you can bring your own beer, how much fun you have is up to you. The tour size is limited to 16 or less, which makes it a perfect way to spend your last few hours of freedom. Round-trip transportation to and from local hotels is included, and you’ll get expert narration from your captain and guide. The tours head out four times daily, so you’re able to pick the time that’s best for you. Remember you’ll be in a swamp, so dress accordingly. This tour is limited to between six and nine guests and is a great way to see the oldest documented plantation in the state. It was also home to a violent slave revolt. 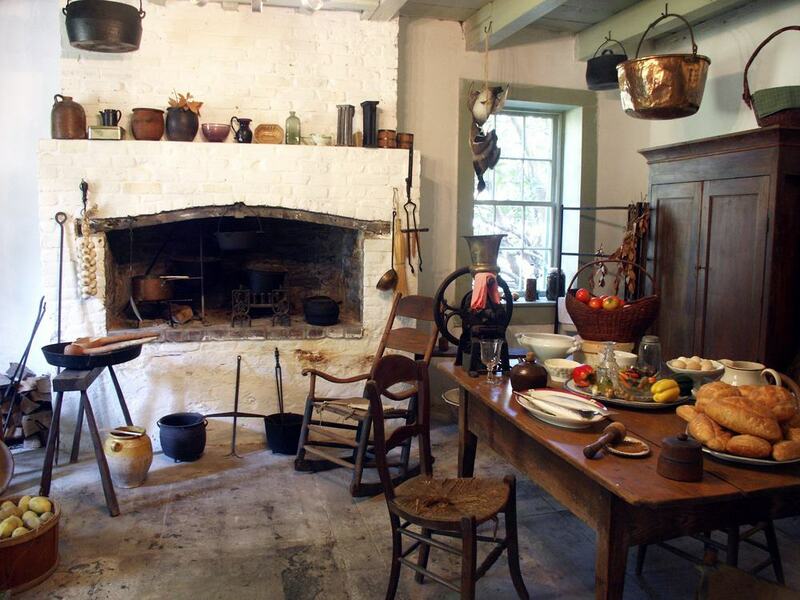 After the historical portion of your tour, which includes a trip to the plantation’s museum, you’ll enjoy a pleasant lunch if time permits. 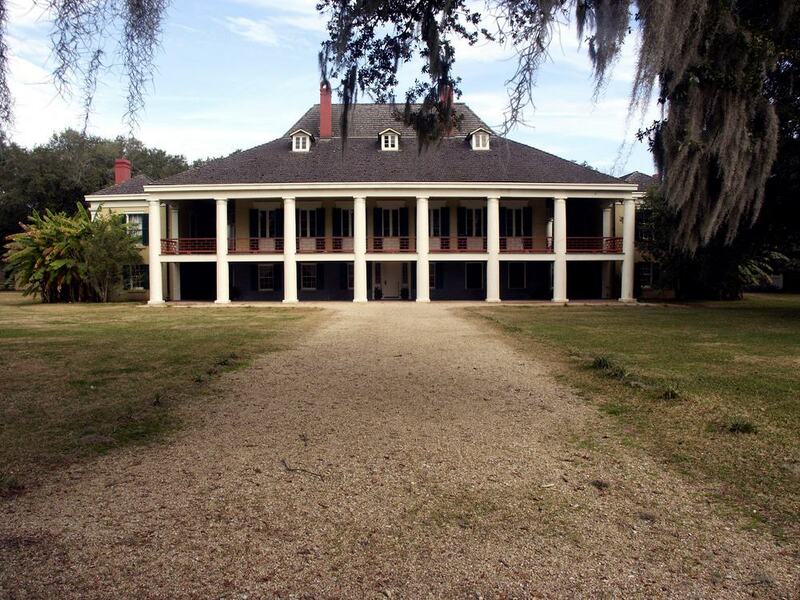 Destrehan Plantation is one of the state’s historic icons. All entrance fees and round trip transportation is included, though lunch is an optional extra. There’s also a great museum here dedicated to the slave revolt that you definitely won’t want to miss.